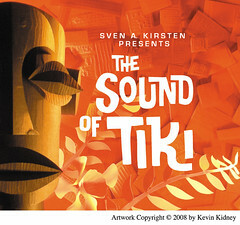 Here is my original paper sculpture for an upcoming CD of rare music recordings compiled by Taschen's "Book of Tiki" author Sven Kirsten. The album is being produced in Germany by Bear Family Records. I'd like to mention that not one bit of this image was accomplished with digital trickery. This is 100% hand-embossed, hand-cut and assembled paper, photographed just as you see it here. Ooh Bear Family does some great work--as do you! Kevin, That is really amazing. My first thought was it was done in Adobe Illustrator, but I am glad I was wrong. The color,design and shapes make it really gorgeous. Wow, that's a beauty, I love the combination of colors and textures, shadow and light. Great job! Thanks a lot guys! I get really excited over images created by hand, like classic painted cel animation. I am going to be animating some paper sculptures soon, as well. The CD content is going to be great, and it should be coming out by the end of the year, I expect. Thank you for your positive comments! "I get really excited over images created by hand, like classic painted cel animation. 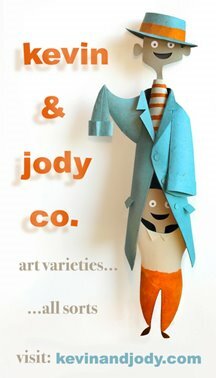 I am going to be animating some paper sculptures soon, as well." Have you seen the stopmo commercial "Dragon" for united airlines. That blew me away Kevin. It's all paper cutout, but animated in 3D. Also, the Macintosh program they used to film it is no available too. It's also called "dragon"
Wonderful image. As tiki as it gets! Superb. I enjoy your blog. I am drawn to Adventureland and all things Tiki. 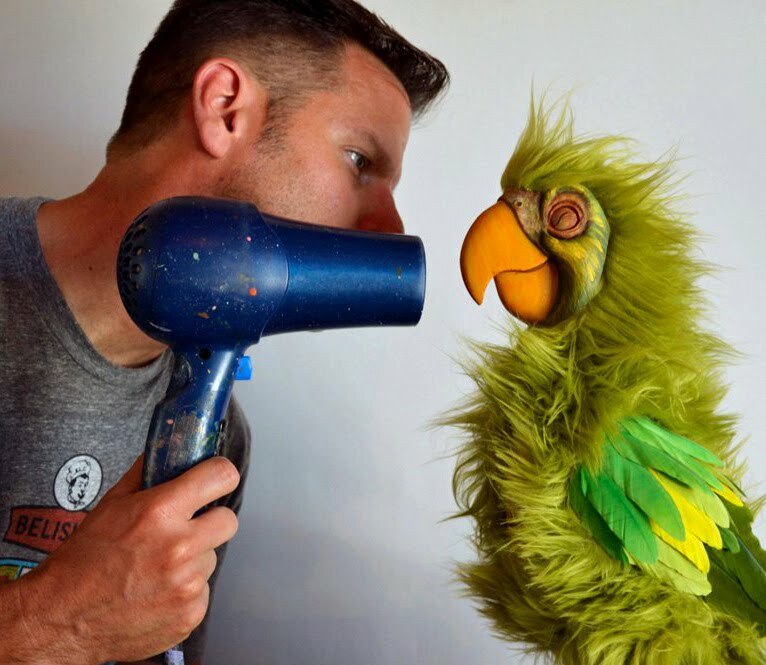 As a former Attractions Host in Adventure/Frontier, I spent many hours in the Tiki Room with Jose, Michael and the gang. 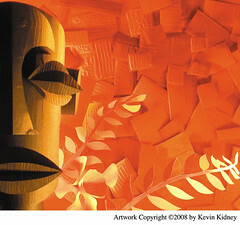 I love your artwork and the things you've done to keep the Tiki Room art alive and well. I have to get my hands on some of this stuff!